As a society, we often wax eloquent about how important it is to nurture, support and protect our children. The sad reality, however, is that all too often major, life-changing decisions are made without any consideration of their potential lifelong and devastating impact on kids. Case in point: children separated from their parents at borders as new immigration policies are debated. Separation from parents for even short periods can cause anxiety disorders that can last a long time. RELATED READ: If a parent doesn't get treatment for depressed child, is that abuse? I wish to underscore that my explanation here is apolitical. Instead, I am writing as a child and adolescent psychiatrist, parent, and member of our society, who would prefer that we be proactive rather than reactive when it comes to protecting vulnerable children at high risk for separation anxiety disorder and other emotional and behavior problems. Separation anxiety disorder is a disorder that is marked by unusually strong, and clinically significant, fear and distress related to separation from the home, a parent or other attachment figure. The fear and distress exceed levels appropriate for the individual’s age and developmental level, and lasts at least four weeks in children. Symptoms can include persistent fears of parents being killed or kidnapped, worries about a parent getting sick and being afraid to go to school. Abdominal pain, nausea and other physical symptoms are also common. Uncertainty and pathological doubting can dominate. These children with separation anxiety disorder never get the “all clear signal” that they or their loved ones are safe unless they are physically together. Even then, safety is precarious as there is always the risk for future separation. 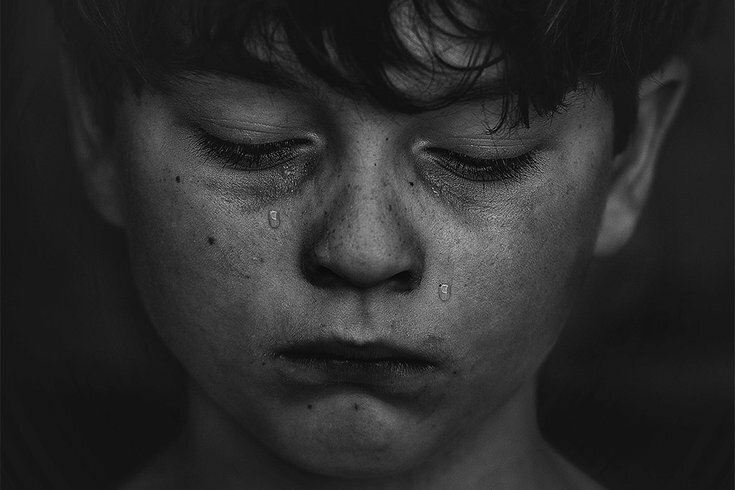 Low socioeconomic status, a family history of anxiety or depression, and other environmental, hereditary and genetic factors appear to increase the risk of developing separation anxiety disorder. However, some of the most common precipitants of separation anxiety symptoms are stress, trauma or a sudden change in environment, such as a divorce or death in the family, a move to a new house or school, or from being forcibly separated from a parent or loved one. It is important to point out that it is perfectly normal for young children to experience separation anxiety. It is a normal developmental milestone. For example, it is common for young children to get nervous and scared when their parent leaves and says goodbye. This usually gets better in children as they get older, but in about 4-5 percent of children and adolescents separation anxiety persists and requires therapeutic intervention. Treatment for separation anxiety disorder includes therapy, reassurance of the child and caregivers, and psychoeducation to provide the family with information about this disorder and the available treatment services that they can receive. However, medication may also be required for severe cases. Separation anxiety disorder also increases the risk for developing depression, other anxiety disorders, post-traumatic stress disorder, and a dependent personality disorder in adulthood. While it is true that children can be resilient and either persevere or recover, it is never easy and the hidden scars remain.